We look forward to providing you a wonderful relaxing experience. As soon as you pass through the Sanctuary Salon’s front door you are greeted with a smile and a drink. 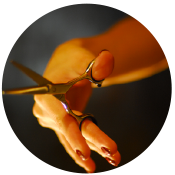 Our stylists are immediately notified of your arrival to eliminate long wait times. Our mission is to make your visit special while having you fall in love with your amazing hair. It’s time to step out of the everyday and step into your personal sanctuary. 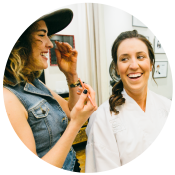 Our stylists strive to be the best at what they do and always treat our clients like family. See all of our stylists. The Sanctuary Salon offers a wide variety of services that are sure to exceed your expectations.